SOFIA, Bulgaria (BulgarianMilitary.com) – The results of the Bulgarian armed forced shown in 2018 are positive and the past year can be considered as successful. This was announced by the Chief of Defence General Andrey Botsev before presenting the analysis on the performance of the Bulgarian Army and the structures under the direct subordination of the Minister of Defence during the year 2018, on the second working day of his annual conference held on 6th and 7th February, learned BulgarianMilitary.com. The Bulgarian Chief of Defence stated that the main approaches to the preparation of the armed forces in 2018 were related to the military personnel, armaments, equipment and available resources, and added that regardless of the difficulties, the main tasks and the results of the planned activities in the past year were fulfilled. The analysis, presented last week, shows that at the end of 2018 the servicemen shortage was not increased and the number of those joined military service was higher than the number of the servicemen, who left the army. The Defence Ministry has projected funds to fill 800 vacancies annually for the period up to 2021. “The headquarters and units of the army are directly subordinate to the Minister of Defence and are prepared for planning and conducting operations in the three missions of the Armed Forces,” Andrey Botsev reported further. At the forum held on Thursday, an objective picture of the military discipline was presented and the main work directions related to available resources in 2019 were identified. Among the official guests at the conference were Bulgaria’s Minister of Defence Krassimir Karakachanov and the President and Supreme Commander-in-chief Rumen Radev. 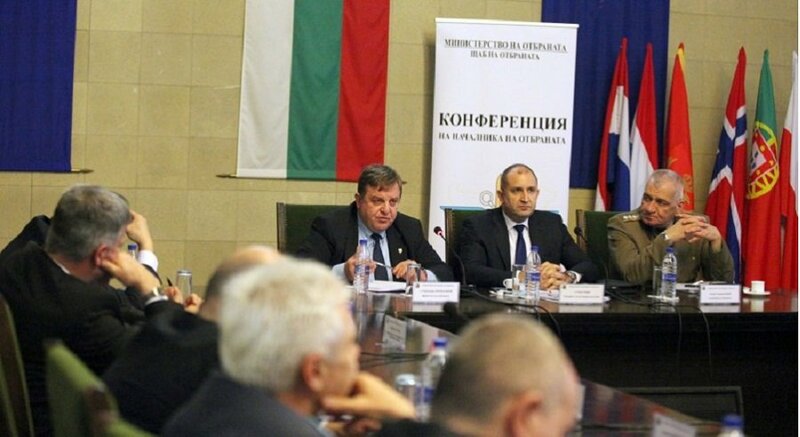 During the briefing held at the end of the two-day conference of the Chief of Defence, Krasimir Karakachanov said that, in 2018, the continuous negative trend in the army was put to an end, mentioning as examples the increase in the salaries of the military personnel, the three major modernization projects and the tendency to solve the problems with the shortage of staff. Gen. Botsev stressed on the need of a new long-term planning process, and on the importance a new strategic defence review that to be successfully made, as well as, to be started a program to develop the defence capabilities of the armed forces by 2032 and a plan for their development by 2026. He reported that over the past year, our armed forces completed more than 300 exercises, of which 46 international.